GLAY has reached the 15th anniversary of their debut, and are set to release their ultimate best-of album. There are 43 songs compiled over 3 discs: all A-side singles from 2001 to 2009, 8 new songs, and a DVD that’s to be included with the initial release. GLAY’s established glory and their defiance toward the future are condensed in this work. We’ll now speak with the main members about this album. —Discs 1 and 2 of “THE GREAT VACATION VOL.1~SUPER BEST OF GLAY~” encompass the A-side singles from 2001 onward, and even just with those songs, they’re great volumes. Teru (from here, “Te”): Yeah. Even so, wasn’t each song just a #1 or #2 from the Oricon Ranking? (Laugh) When we saw that, there was a feeling like, “Wow, we really fought to get here, didn’t we?” But no matter what, for 9 years we did our best and the fans were guided to it, so we think that we can’t help but be grateful to them. —For you personally, I’m sure you have all kinds of memories of each song. Te: Yeah. I of course remember the process of working on them. If you’re talking about “SCREAM” or “ANSWER,” it was exciting to work with EXILE and Himuro Kiyosuke. The expression on the music video director’s face... Sort of like, “Yeah, we went there.” There are all kinds of things that I remember. —Are there any songs that left a special impression on you? Te: Naturally, that would be “ANSWER.” Himuro was the reigning hero of the music scene when I began performing in high school. And I sang with him. I stood on the stage with him. That alone made for a lifetime’s worth of memories. For “ANSWER,” first we went to Los Angeles to visit Himuro in his home and spoke about what kinds of things we wanted to do, and we decided on the live and the single. I remember the entire process. And besides, this song wasn’t all Himuro, he also introduced us to all sorts of things. For example, Himuro used Honda Takeshi, the original guitarist from PERSONZ, which was a band I was always listening to... There are also sorts of wonderful encounters like that. —As a vocalist, do you feel that there is anything on disc 1 or 2 that you’d like to revise? Te: I always see the me that will never grow, nevertheless, I still feel like I am growing, so, I think that I have to keep searching for that possibility. —So you feel that the challenges of being a vocalist are making you stronger little by little. Te: I don’t know about that. What I mean is, when we made the album “UNITY ROOTS&FAMILY,AWAY” in 2002, Takuro said “I want to take all the experiences that we’ve cultivated up till now and bring them all back to zero, to express that what we’re really pursuing is the song.” I was also challenged by the falsetto at first, and I’m always trying to get down the parts where I sing like I’m shouting. Also, up until then we made songs around what would fit my key, but we've done away with that, now we find which key best suits the song; and I sing for the composition. As a vocalist, I took advantage of “UNITY ROOTS&FAMILY,AWAY.” The desire to put the songs in the clothes that they want to wear has become stronger little by little. —The breadth of your expression became too small, so you feel that you’ve expanded it. Te: No matter what kind of music we make, I think that we four have the confidence to make our music because everyone believes in us. So then really, in wider musicianship, we’re gathering compositions that present challenges we can handle. The vocalist also does this, so that he’s faced with organic situations that challenge him. —In other words, the entire band can grow. Te: Yeah. Within each experience, no matter what music we put together, if we’re doing what we can handle, then GLAY’s abilities grow. But this isn’t the end. We still have the confidence to go on. —You can certainly feel GLAY’s ability in Disc 3. There’s a surprising amount of diversity. Te: We tried to give it a feeling like it was a single package containing the very best that GLAY has to offer right now. 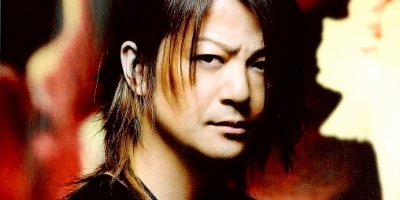 I mean, GLAY’s next album will be exactly the 10th*, and we still haven’t squeezed out a theme for it, so... We thought that, since we hadn’t come up with a concept for an album, we’d use disc 3 to put together the songs we’d been creating for the past 2-3 years, to really let you feel what GLAY’s like right now. Including the songs we’ve released recently on singles. The important thing is, we felt that we should adjust these songs one time, since they’re going on the 10th album. Hisashi put it really well. He said, “Disc 3 should sound like a great demo tape.” Those words helped us all understand what we were going for, and that’s really what it feels like. —Are there any songs on disc 3 that you especially got into? Te: Oh yeah, a ton. Hmm... “RUN” is the first song we’ve made in a while, and it has a really great feeling to it. Lately we’ve been doing more danceable, energetic music, where you don’t so much pierce the melody as stress it in the arrangement... We’re tinkering with it, firming up the tempo and those kinds of things. Well, the other songs are like that too, but with each song you’re trying new things, adding things and taking them away, adding them and taking them away, and it’s really fun. Also, “Isuka no Natsu ni Mimi wo Sumaseba” is a song with a long tone, and I think long tones are really our strong point, but when I sang it, it was surprisingly a weak point. (Laughs) We had some heavy thoughts while recording it. But even after 15 years those kinds of weak points still come up. Even now, challenging those new hurdles one by one is still really fun. —On listening to Disc 3, you can strongly feel the enormity of GLAY. And yet, there’s still the feeling that there’s more ahead. Te: Yeah. Even though we’re surrounded by our 15th anniversary, we’re already looking to our 30th. What I mean is, GLAY is still on a journey. This is a little something of ourselves as we’re walking on our way. *Teru is excluding compilation CDs from his count.